William Heimerman was the long-term director of the Photographers’ Gallery and Workshop in South Yarra, where museum quality exhibitions were held from the mid 1970s. William Heimerman. Photo: Jeff Busby. The Photographers’ Gallery, was established in 1975 by Rod McNicol, Paul Cox, and John Williams, then sold to photographer Ian Lobb who convinced William to assist in running the gallery – from that point known as the Photographers’ Gallery & Workshop. They set out on a journey to exhibit Australian and international photographic work of the highest quality. 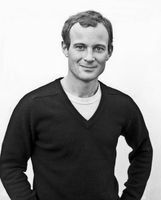 After a few years of co-directorship, from 1977 until 2015 William was the sole director, energetically seeking out the finest work from Australia, the USA, and Europe. A long list of renowned Photographers have exhibited at the gallery over the years including Jennifer Aitken, Lynn Bender, Robert Besanko, John Billan, Edouard Boubat, Warren Breninger, Wynn Bullock, Marcus Bunyan, Francis Busby, Jeff Busby, Harry Callahan, Paul Caponigro, Jack Cato, John Cato, Larry Clark, Nigel Clarke, William Clift, Christine Cornish, John Divola, William Eggleston, Rennie Ellis, Greg Elms, Fiona Hall, Franco Fontana, Oliver Gagliani, Ralph Gibson, Christine Godden, Michael Goldsmith, Emmet Gowin, Kylie Hamill, Marion Hardman, Paul Hill, Paul Hopper, Eikoh Hosoe, Graham Howe, Carol Jerrems, Peter Leiss, Jane McLennan, Jean Marc Le Pechoux, Eliot Porter, Ian Lobb, Stephen Lojewski, Rosemary McKeown, Jane McLennan, Rod McNicol, Duane Michals, Lisette Model, Boone Morrison, Harry Nankin, Tony Perry, Lyn Pool, Eliot Porter, Susan Purdy, Kay Rentil, August Sander, Aaron Siskind, Gayle Slater, David Sterry, Virginia Stobart, Henry Talbot, Ingeborg Tyssen, Jerry Uelsmann, Colin Vickery, Les Walkling, Greg Wayn, Brett Weston, and Konrad Winkler. Many more artists exhibited work in group and student exhibitions. The gallery also offered workshops in all aspects of photography taught by Australian & international photographers including John Cato, William Clift, Ralph Gibson, Ian Lobb, Stephen Lojewski, and Les Walkling. At the invitation of The Photographers’ Gallery renowned photographer Harry Callahan visited Australia to present a public lecture. Tony Perry in 1980 wrote about the gallery: ‘Today the Photographers’ Gallery is run solely by Bill Heimerman…with an enviable record of exhibitions and workshops is seen as the premier gallery in Australia; a show there is a genuine honour’. In 1974 William accepted a teaching position with the Victorian Education Department and taught English at Coburg Technical School. It was here that he met Ian Lobb and the late Carol Jerrems, both avid photographers, who initiated his interest in and appreciation of photography. William subsequently moved to Brighton Technical College where he and other staff members established a photography program. Later William taught photography at Melbourne College of Advanced Education and Council of Adult Education, inculcating students in the techniques of fine printing and the zone system. William was himself an accomplished photographer, producing work in abstract, portrait and landscape veins. His work is art of great poetry that will be exhibited in a posthumous exhibition that is in preparation. William passed away on October 1 at Hammond Care in Caulfield after a relatively short period of declining health. William was a brother to Patricia, Jeff, Kevin, Jane, Ted and Robert (dec), brother in law to John, Sarah, Diane, John, Paula, and Susan. Many nieces and nephews, extended relatives and friends, survive him. He will be greatly missed by lifelong friend Barbara Derrick, and the many artists and art collectors that he befriended. This entry was posted in Deck right, Opinion and tagged bill heimerman, Photographers’ Gallery and Workshop, William Heimerman by Keith Shipton. Bookmark the permalink.